St. Mary's is the largest island of the Isles of Scilly, an archipelago off the southwestern tip of the Cornish peninsula of Great Britain. The crossing from Penzance to St. Mary’s takes around 2hrs and 45 minutes. 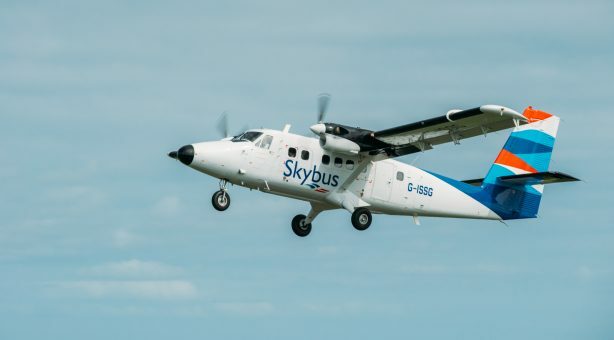 Skybus is the fastest way to and from the Isles of Scilly. The journey takes just 15 minutes from Land’s End to St. Mary’s, 30 minutes from Newquay Airport, and from Exeter it’s an hour.